New York City Football Club has acquired Valentin Castellanos on loan from Club Atletico Torque. The attacking midfielder joins on loan until the end of the 2018 season with an option to purchase and will join up with his teammates subject to receipt of his P1 Visa and ITC. 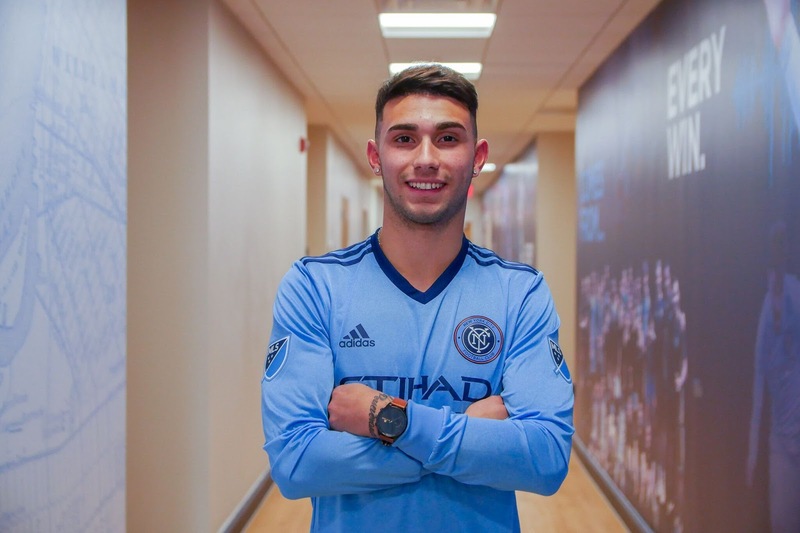 “I’m so excited to be here, I feel so happy and thankful to this institution and to all of the people for bringing me here," Castellanos told NYCFC.com. “My goals are to click with this team, to try to win minutes, to learn as much as I can from the coach and to be able to play as soon as possible. “I want to win trophies with NYCFC and, with the type of players I’ve seen and studied, we can try to do that. My focus now is to train with the team and get to know my teammates. Castellanos is an Argentine player who joins NYCFC from fellow City Football Group Club, CA Torque. The 19-year old spent the last 12 months on loan at Torque from Universidad de Chile, representing the Uruguayan team on 19 occasions, scoring three goals which helped the team achieve promotion to the First Division. Winning the Primera Division award for Young Player of the Month for June, Valentin enjoyed a promising first pro season in 2018 and now joins up with new Head Coach, Doménec Torrent. Torrent said, “Valentin is a fast, young player who can play as a no.7, as a no.11, or even as a no.9 as he did in his last three games with Torque. NYCFC Sporting Director Claudio Reyna said of Valentin, “We’re very excited about Valentin. He can play as a forward or as a winger, he can hold up the ball to bring others into play and he can score goals.